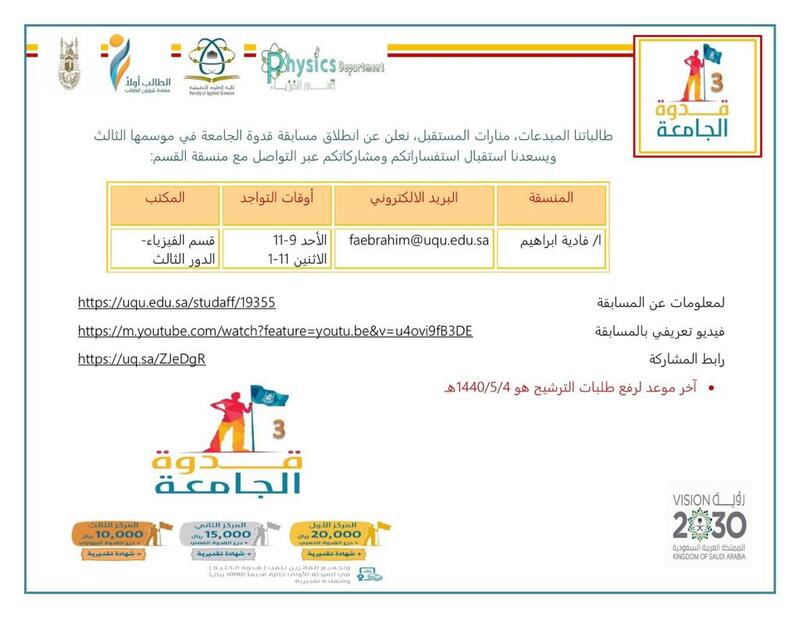 The Department of Physics is pleased to invite its creative students to participate in the UQU Role Model Contest (Season 3). For further inquiries and suggestions, please contact the department’s coordinator Ms. Fadia Ibrahim. Application deadline: 4 Jumada Al-Ula, 1440 A.H.